Close your eyes and imagine a magical place… a place where hundreds of people can live in the heart of London and yet have access to outdoor spaces; where privacy can be enjoyed, but camaraderie and socialising are just steps away from your door; a place that is contemporary, friendly and affordable. Here’s the shocker – such a place really does exist! 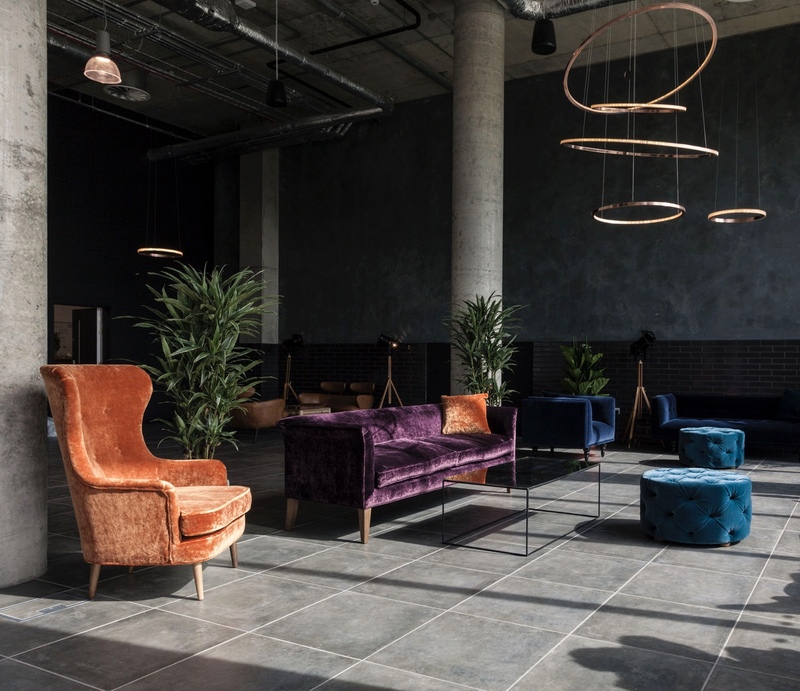 The Old Oak is a co-living community created by a property company called ‘The Collective.’ The Collective is redefining the way we think of city living. The communities they are building are social, interactive, and make efficient use of space and resources. In short, they are a study in making small space living not only workable, but desirable. Residents at Old Oak have their own bedroom and ensuite bath, which is a tiny space by almost anyone’s definition at 10 sq.m. The double bed comes with its own drawers underneath for storing clothing and other items, and linens are provided and changed regularly. There is a desk and chair along with hyperoptic internet, and a flat screen television. The bedroom and bath are private, but residents share a small kitchenette with another dweller. All of this comes with a price tag of just 1,000 GBP per month. -But wait, there’s more! Members of this unique community also have access to several shared areas, including full size kitchens, private dining rooms, a gym for keeping fit, a spa for keeping relaxed, an amazing rooftop terrace, an inviting library, several communal lounge spaces, and a laundrette. There are also regular events planned for the residents. Did we mention there’s a restaurant and coffee shop too? A comfortable library for reading or studying. What’s extremely interesting about this new type of living experience is that it closely mirrors the boarding houses of the late 19th and early 20th centuries. In boarding homes, people would live in a large house under one roof, with separate bedrooms for privacy, but meals would be taken communally in a dining room, and there were generally common areas for tenants to congregate in a drawing room or on the front lawn. 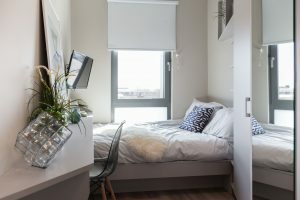 One reason the boarding house model of living was very popular, was its ability to afford residents their privacy, while allowing them spaces for socialising. Many of the residents found themselves alone for one reason or another; they had never married, were widowed, or perhaps were university students. The boarding house gave them a way to live as a group, almost as a surrogate family. Somewhere along the line, we lost this sense of created community in our living arrangements. We travel straight home from work, quickly grabbing some take away at the corner restaurant and rush to get inside the door of our flat – only to sit alone for hours in front of our computer, or the television. The Collective has updated the concept of communal living for the way that people want to live today. 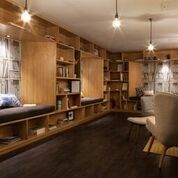 The expert design of the rooms have made small space living cosy and inviting, rather than cramped and claustrophobic. And the communal areas provide sensory stimulation and perhaps even more importantly, possible social interaction. Though it may not be the primary goal of this new type of housing, no doubt many residents will meet their spouses, their future business partners or their best friends while living at Old Oak. There’s no question that the Old Oak community has attracted a majority of young urban dwellers in their 20s and 30s. But it’s not hard to imagine that in the future, this type of micro flat with communal spaces will be appealing to all age groups. At the end of the day, living is about more than the paint colour on the walls and the square meters that make up our homes. It’s about the people we share the living with. 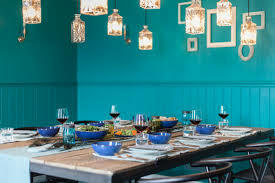 A communal dining area at Old Oak.